2016 Glamour Beauty Award Winner for Best Natural Moisturizer! I have been using this for several years and it does an excellent job. No oily film, but leaves the skin feeling soft and moisturized with a subtle natural scent of rose. I am in my late 60’s and this has been a blessing for my dry and sensitive skin. My fav. Can’t live without. This is perfect for the winter time dryness - it is much thicker and creamier of a cream than the Revitalizing Day Cream. The smell of the Rose Day Cream is lovely. I don't use this cream if it is especially hot and humid out or if my face is having an oily day - I use the Revitalizing Day Cream because it is much lighter. My favorite is the Melissa Day cream - granted the Rose cream is richer but I can’t say I use more product with Melissa- they just have a different finish. Some days it’s rose and some days it’s Melissa 1 I just tend to favor the Melissa - so for me Melissa get 5 stars while Rose gets 4. A rich day cream keeps my face moisturized all day long. Best moisturizer out there for winter! My skin gets so dry and this is the only thing that works to hydrate my skin without leaving a behind a greasy residue! A must have!!!!! One of my favorite products on the market! Btw, it smells amazing! I have been using Dr. Hauschka’s products for 1 month, they are the best! My face feels so clean and moist all day long. The Rose day cream is good, and smells wonderful. Initially I was surprised how dense the cream was, but after smoothing it over my face it was devine. I have sensitive skin I was so impressed how soothing it felt. Also having very dry skin this cream made my skin very moisturized. I love it! Sorry to hear you are no longer satisfied with your Rose Day Cream. If you'd like further assistance finding the product that's right for you, please give us a call at 800-247-9907 9am-noon and 1pm-4:30pm Eastern Standard Time, Monday through Friday. Rose day cream is a great moisturizer for the cold winter months. It goes on thick but not greasy and protects against all the dryness of the winter season. The fragrance is soft and soothing, too. I’ve tried many products for my skin in the winter, but nothing has worked this well. The rose cream removed the dry patches on my forehead within just a few days of daytime use. I don’t even use makeup anymore, just the rose cream and I’m god to go. love it!! 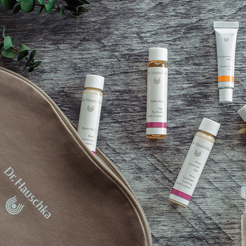 I have been using Dr. Hauschka products for over 40 years. As my skin ages I need gentle yet protective products. Now that I am 62 Rose cream gives me all day protection from dryness and makes my skin feel smooth. I like use it. it is creamy and can keep my skin moist all day. Absolutely love this product!! My skin was parched and quite dry...apply at night and feels smooth and soft in the morning!! I purchased this during the 12 days of Christmas sale and never received the product. After waiting nearly 2 weeks I checked the tracking to see it was left outside my apartment building in New York City showing lack of care to send packages requiring a signature! Not only didn’t I get it in time for Christmas, I didn’t get it at all. Sorry to hear you are not 100% satisfied. Our Customer Service Team is always happy to assist with delivery problems. Please call our Team at 800-247-9907 9am-noon and 1pm-4:30pm Eastern Standard Time, Monday through Friday. We are happy to help with this problem. Thank you. Perfect for my VERY sensitive skin. Will be purchasing again. 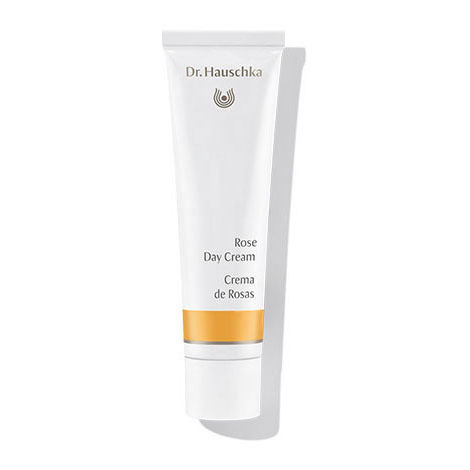 My chiropractor’s wife is a Dr. Hauschka rep and got me started on Rose Day Cream & the Birch Arnica Oil over 30 years ago and I’ve used it ever since . Have lived in the mountains of Colorado for 33 years and with skiing & outdoor activities my very fair red headed skin really gets tested. Have used the Rose Day Cream exclusively on my face for over 30 years and get compliments all the time even at 65 how great my skin looks . This is a product I love. I've been using this on and off since 1964. I seem to go back to it. Occasional pimple since I have large pores. But then I just use it with a drop of water on my face. Still my favorite cream for dryness . Moisturizer does a great job of keeping my dry skin hydrated and looks great under my foundation. I use this product all year and it is the best moisturizer for dry or mature skin I have ever found. It’s like paste. Hard to spread. Probably causing more wrinkles than it’s meant to prevent. I use Rose Day Cream in the winter when my skin is a little drier. (I live in the northeast) And I use the Rose Day Cream light in the summer, warmer months. It is a little thick but it hydrates well. The Rose Day Cream has been a long-time staple of my daily moisturizing for my sensitive and mature skin. A little bit goes a long way and helps nourish my skin all day long without feeling oily. I also love the scent. I love the scent of roses. The scent is very authentic; not over powering like many cosmetics. I used the light rose day cream in the summer for a lighter cream and this cream for the rest of the year. Nothing has helped reduce my redness more! I love this day cream! It calms my underlying redness and smells great too!! I like the rose day cream best. I bought Melissa, Regenerating and Rose and I like the rose best for combination skin even though Melissa was recommended. The Melissa was not moisturizing enough for me. Like the regenerating too. Will probably buy regenerating to use on dry spots at night. I have dry, sensitive, and elderly skin, and I tend to move from one moisturizer to another on a regular basis. Rose Day Cream is, however, my favorite. It feels and smells wonderful, and I alternate it with Rose Day Cream Light among others. This cream smells amazing and is really moisturizing but doesn't cause an irritation. It is thick to apply so a little goes a long way and keeps my skin feeling hydrated. My mom swears by Rose Day Cream. She tried many different natural creams and she always comes back to this one. She reports that her skin feels nourished and soft. She uses the cream in the morning and the it works the whole day, her skin does not become dry in the course of the day. I love Rose Day Cream! I love Rose Day Cream! I use it year round for my dry, sensitive skin. The scent is lovely. It is a pleasure to take the time each morning to gently massage it onto my face and neck. The Rose Day Cream is my go-to for colder weather. As someone with sensitive skin, it's difficult to find a deeply moisturizing cream that doesn't irritate or feel too heavy - though it is thick. The fragrance is divine but not overwhelming (like some other brands). I got this cream in one of my trial size kits and I love it! It feels great on my skin and the scent is not too strong. I love using the Rose Day Cream for my day moisturizer in the winter months and as my night time moisturizer in the warmer months. It has a beautiful natural rose fragrance and is so comfortable on my sensitive skin. Very soothing and nurturing. I prefer it over La Mer which is great, but this cream works just as well for me and I love that it's a fraction of the cost. This is an *excellent* day cream! Compared to other Dr. Hauschka day creams, this cream is the thickest. I love how nurturing it is on my skin. It leaves my skin smooth with no irritation or redness afterwards. My only complaint would be the initial application of this cream is hard because of how thick it is. An outstanding product I have used for years. Very moisturizing yet not too heavy. Works wonders around the eye area; not to mention the beautiful rose fragrance is the most delightful aromatherapy. Hi have Rosacea & have had a hard time, for years, putting anything on my face. I would react with rash or flushing or acne. I made a leap & bought this moisturizer a couple of years ago, & it almost completely resolved my skin issues. It is thick & creamy but does not cause breakouts on me, & absorbs well & keeps me moisturized all day. I'll never buy another moisturizer again. I received a sample of the Rose day cream with my last order, it smells amazing and cleared up my dryness around my nose from allergies immediately. It felt a little heavy going on, but soaked in fast and didn't leave my skin feeling greasy. I love this cream so much that I had to buy a second tube for my travel kit. It has such a lovely smell and even though it feels a little greasy going on, it absorbs immediately and provides moisturizing properties all day long. It’s my daily moisturizer and I feel dry without it. The Rose Day Cream is great for dry skin. It is a thicker texture and provides good coverage. I find that as it warms to my skin I'm able to "spread" it around more. It feels as though this isn't instantly soaked in, which I like, as it feels like it provides longer lasting moisture. The Rose Day cream is my favorite moisturizer. I used it everyday after applying the facial toner. This is especially effective during cold winter months and protect my skin against harsh dry winter weather. I have been using this cream since the age of 35. Non irritating and very soothing for sensitive skin. I apply immediately it out of the shower or after washing my face and let it absorb. I even use it around my eyes which are very sensitive. Love that the tube is not plastic. Some think it is thick- if that is your feeling apply less and give it a few minutes to absorb. PLEASE do not change this formula!!! I love, love, love, the light and natural rose smell in this product!!! Every once in a while I’ll catch a whiff of it during my work day and smile. I also enjoy how hydrating it is. On my skin it’s not quite enough to last all day, I will either reapply in the afternoon or use the tinted day cream over it; that’s a fabulous super hydrating combo! Beautiful day cream, since I have a combination skin prefer light version of the rose day cream. Hydrating, smoothing, rejuvenating. This is a wonderful moisturizer for very dry and/or cold climates. I use this every day in winter and it gives my skin such a nice feel and smells amazing. I am new to using this product but what I like is the way it makes my skin feel hydrated and soft. And the subtle rose fragrance is very appealing. For mature skin, we also recommend the Dr. Hauschka Regenerating line of products. Rose Day Cream provides excellent protection against the cold in winter. Rose Day Cream Light provides the same nurturing benefits of Rose Day Cream in a lighter formulation that is suitable for warmer weather.